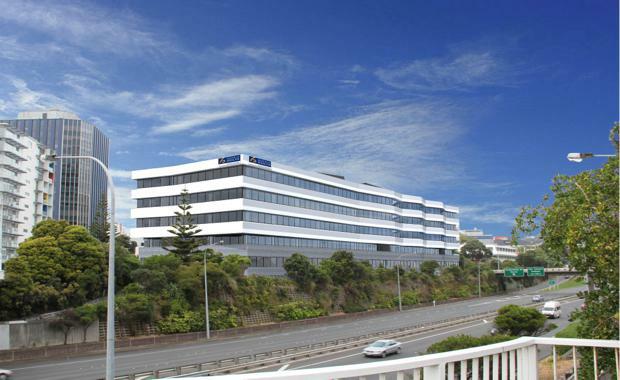 One of Wellington's largest commercial real estate transactions has been completed by CBRE Wellington, with the $80 million sale of 133 Molesworth Street on behalf of an entity associated with Wellington based developer, Mike McCombie. It is a first time investment in New Zealand for Ascot Capital Limited, a Western Australian property business that was introduced to the deal by agents Matthew St Amand of CBRE Wellington and Ryan Johnson, Managing Director of CBRE's North Sydney office. Mike McCombie, Director of Balanced Investments Ltd said, "I'm very pleased with the sale which will strengthen the investment group's balance sheet, positioning it well for future investment and development opportunities. ""CBRE was spot on with identifying likely purchasers and introducing them to 133 Molesworth Street. Once the purchaser, Ascot Capital Limited, indicated they wished to purchase the property it was great to sit down and talk directly with them to close the deal. Ascot Capital and their advisors were very professional in their approach and a pleasure to deal with. "Based in the government precinct of Wellington, the building will be extensively redeveloped ahead of being occupied by the Crown for Ministry for Health under a new long term lease agreement. The Crown has been intimately involved in ensuring the building met exacting standards. The redevelopment will involve a partial demolition of the building to allow for it to be almost doubled in size, with the net lettable area to be increased from 8,012sqm to circa 15,504sqm. A new interior fitout will bring the building to an A-grade specification and include 70 car parks at basement level. 133 Moleworth Street is base isolated and designed to be one of the most seismically robust buildings in Wellington. "The sale of 133 Molesworth Street has once again proven the strength of the Wellington market to overseas investors, New Zealand continues to be a good investment opportunity. The redevelopment of this property provides a strong investment proposition to the capital markets that we are closely connected with," Mr St Amand said. "Ascot Capital Limited has previously only focused on investment properties in Perth and Adelaide, however CBRE Wellington, along with our Western Australian team led by Peter Agostino, were able to offer the opportunity to them and promote Wellington as their next investment," Mr Johnson said.